A geocoin is a special coin created by individuals or groups as a kind of signature item or calling card. They can travel from geocache to geocache or are shared among friends, picking up stories along the way, or be awarded as prizes for achieving tasks or meeting certain milestones. Each geocoin is assigned a unique tracking code, which allows interested parties to participate in its adventures online. Today, the variety of geocoins is impressive! Coming in all shapes and sizes, they are made by other geocachers to commemorate special events or as a signature item to leave in geocaches. You can log Geocoins by ‘retrieving’ them from a geocache, ‘grabbing’ them from another geocacher, or simply ‘discovering’ them when you see them. These log types can be selected when clicking on “Found it? Log it!” on the top right of the Geocoin’s web page. All geocoins are inscribed with a unique tracking number that allows the owner and other players to track its journey from geocache to geocache. This cannot be done, however, until the geocoin has been ‘activated’ and its web page created. 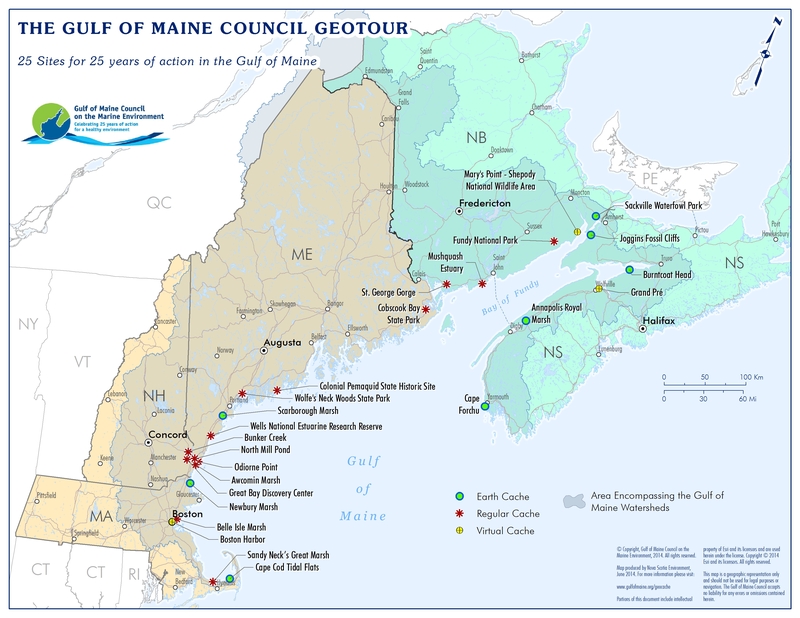 To retrieve the activation code for the Gulf of Maine Council 25th Anniversary geocoin just surf to http://phdcoins.ca and click on the Activation Codes link on the left hand menu. Select the name of the coin (Gulf of Maine Council 25th Anniversary Geocoin) from the dropdown list and type the tracking number in the proper field. Then just click on the Get Activation Code button and it will be displayed on the next screen. If you entered your email address in the space provided it will also be emailed to you. To activate your coin you now have to surf to geocaching.com and login with your geocaching account username and login. Follow the links under the Play tab to Find Trackables and click on Geocoin Home. There you will find a button labeled Activate a Geocoin. After pressing the button, just follow the instructions to activate your geocoin and create its web page.